Tomato Jam - It's just so good looking! - Canning Homemade! Home » tomatoes » Tomato Jam - It's just so good looking! Tomato Jam - It's just so good looking! My visit with my mom has been brief and have not had any time to do canning together. I made sure that mom got a box to take home of stuff in my canning closet; a couple of my marmalade's, bread and butter pickles, and applesauce. I keep forgetting to make ½ pint jars of all of my canning recipes to store for when she visits. Because she is by herself in the house she doesn’t go through a pint of anything before it goes bad. I will also work on some ¼ pint jars for those special recipes I know she will love. I have been working on some ideas for this weekends canning. I will be spending the day going out with my hubby on his one Saturday off this month. 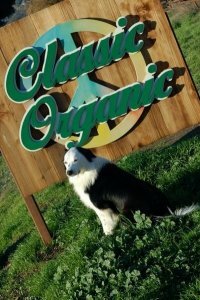 We have been wanting to go to a local farm up near Foxen Canyon road called Classic Organic Farm & Market. The owners have been organically farming since 1971. We are so excited its spring and want to soak up as much local gardening information as we can. Now I have to say the recipe I found on "ShowFood Chef" has got me excited about the prospect of spring tomatoes and the amazing jam that she created. I try to post only recipes I have made but this is one exception. I know this will be the first one to make when my first tomatoes come from my garden. Here is the fantastic picture and recipe. Thank you Chef Cathy!